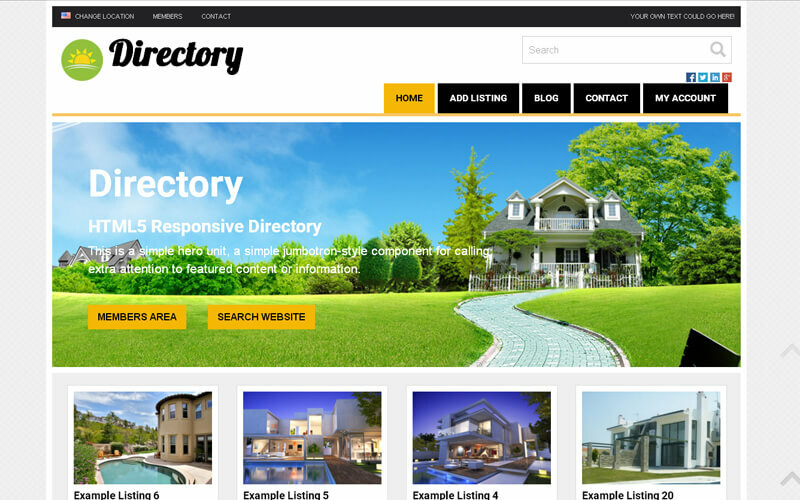 Professional version Open Source Real Estate Script allows you to launch a powerful and professional real estate websites to list properties. This PHP Real-Estate Script comes with radiant profile edit features that help users to add their property details and images in an efficient manner in their website. Our open source real-estate script has many rich functions for private sellers, buyers and real estate agents to list their properties for sale or rent and search the database to show featured ads. Private sellers can manage their ads through their personal admin space. This Realtors Script allows you to automate and simplify the realty business process. Our property listing script comes with feature rich search functions which provide an easy way for the potential real estate buyers and renters to search the real estate listings. It is designed in a manner to build rich featured real estate websites with ease. Our Open Source Real Estate Script provides easy-to-use seller administration panel which allow the real estate agents and the property owners to manage their real estate properties in an easy way. I was able to have a good revenue from this script. Thank you guys! Sorry for making my late reviews. Anyways it is wonderful script and the support provided by the company is unmatchable. I appreciate the company that their work is really good and sure it will be beneficial for others. The backend developers are also really good and kind.